14/10/2014 – When Sophie Bakery closed recently, the Telok Ayer shophouses had one less place for the people who work nearby to get their breads and pastries. 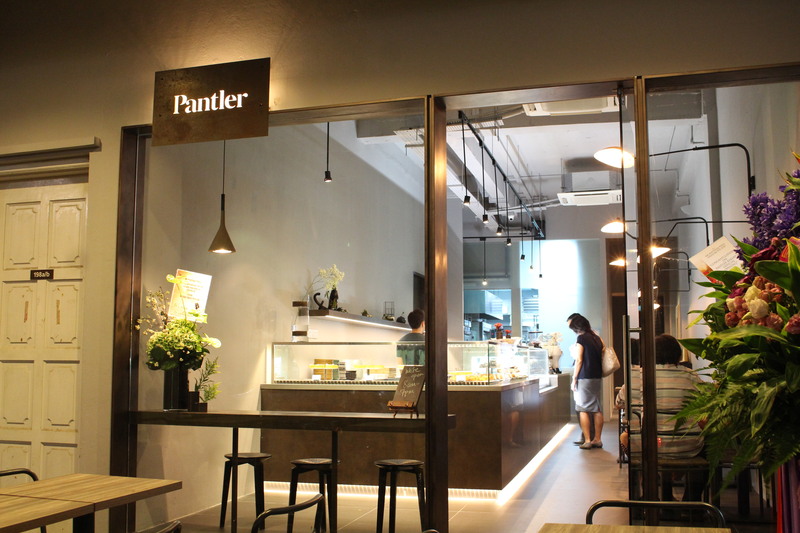 Luckily, there is a new patisserie that opened recently along the Telok Ayer shophouses! 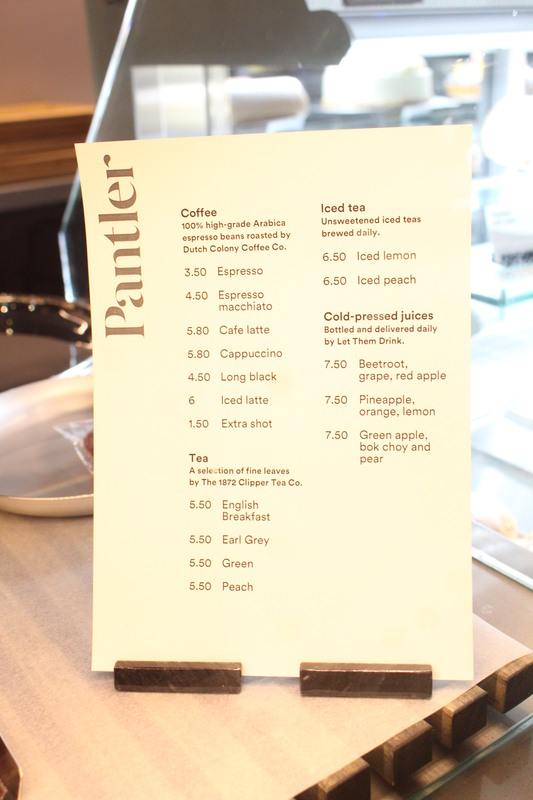 The drinks menu in Pantler. Coffee here comes from Dutch Colony Coffee Co., tea coming from 1872 Clipper Tea Co. and cold-pressed juices from Let Them Drink. 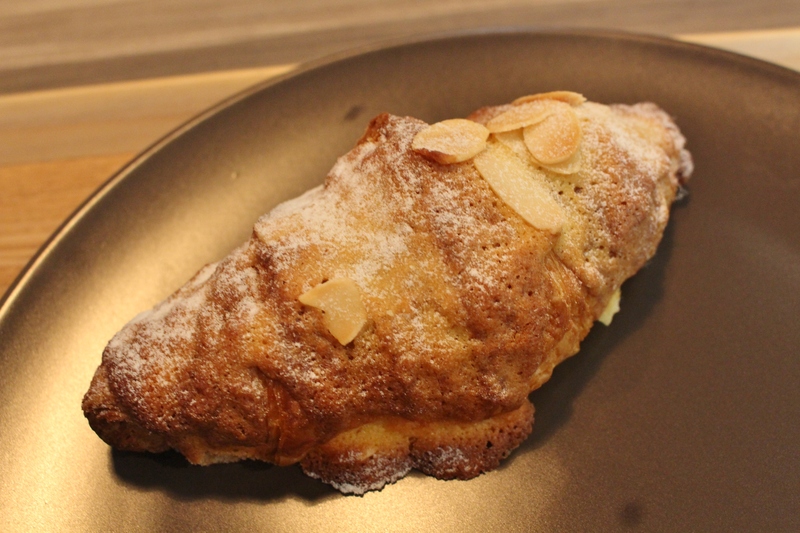 Butter used from their pastry are of the highest grade, such as this Almond Croissant ($4), which is made using French A.O.P butter. The almond flavour is rather strong and the freshness of the croissant further enhances its taste. 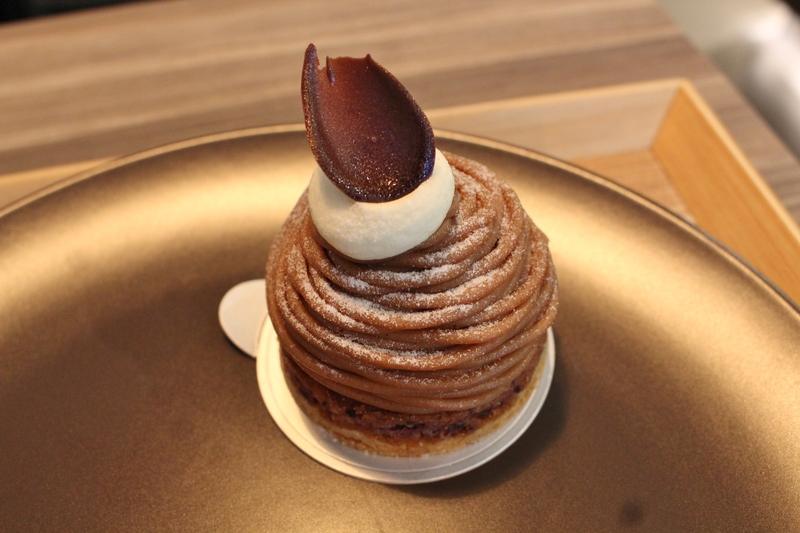 The Cassis Mont Blanc ($8.50) consist of mont blanc, a dessert made from sweetened chestnuts, surrounding the centre consisting of whipped cream, cassis (liqueur made from blackcurrants) and blackcurrants. Being a sweet dessert, the mont blanc also tasted rich and creamy, the cassis giving an earthy taste and the sweetness is escalated further by the blackcurrants. This place serves a great variety of bakes and cakes that appeals and cater to the office workers since they are open before and after office hours! If you are working around the Tanjong Pagar / Shenton Way district looking for pastries and related eats, this place is one not to be missed!